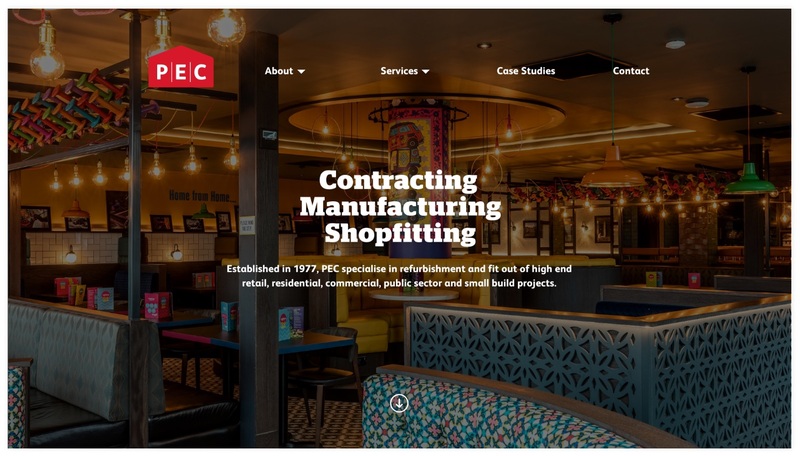 PEC are specialists in contracting, manufacturing and shopfitting. We’ve worked with them to raise their profile and help win lucrative contracts since 2008. As an organisation with a multi million pound turnover, PEC need to ensure they are seen to be a market leader through a series of marketing channels. PEC had an old out-dated website that was hard to manage and update, and didn’t reflect the size and prestige of the company. They needed a website to show off their work, as well as assistance with PR and email marketing to help them secure contracts. Over the years, we’ve provided PEC with significant PR support. We’ve helped them to gain coverage in trade media publications, both local and national. 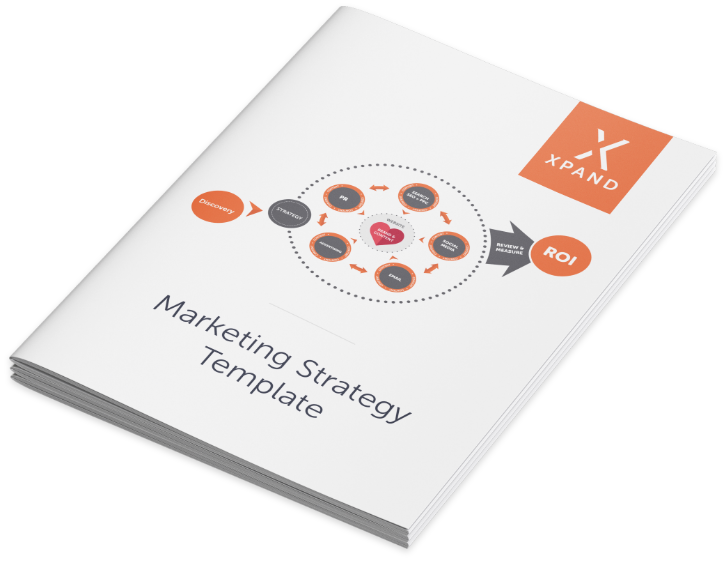 We also carry out regular email marketing, advertising, event management, award submissions and strategic marketing support. Most recently, we carried out a complete redesign and build of the PEC website to bring it in line with the latest trends. 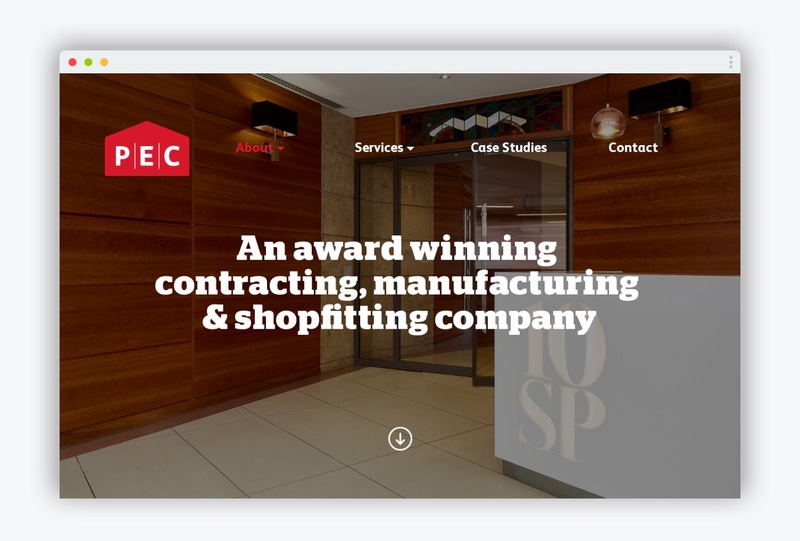 The new website is mobile responsive to cater to a growing mobile audience, and based on the visual nature of their service, is built around strong imagery that really showcases PEC’s work. The website acts a brochure for the company, showing their services and previous work. It is also much easier to manage and update, so PEC can add to their website as the business grows. As a result of one of the email campaigns that we managed, PEC were able to secure a coveted contract to create the stands that showcase Microsoft products. They are also the winners of many local and national accolades within the industry which we were able to support their applications for. If you’re looking to grow your construction company, we can help. Let’s talk.